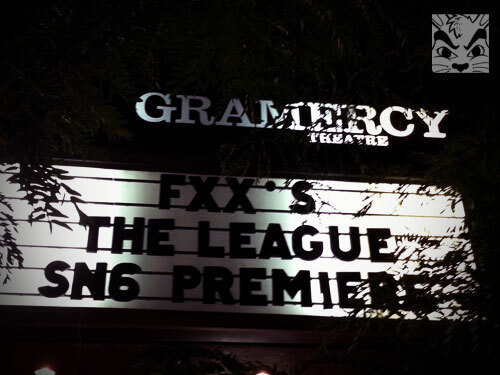 My friend Ingrid got tickets to The League premiere at the Gramercy Theatre and I got to go! Yes, it’s a terrible photo of the cast! From the left are the 2 creators of the show, Kevin, Andre, Ruxin, Taco (! ), and Rafi (!) The cast was really funny and it was cool to be able to watch the first 2 episodes of season 6 on a big screen. I was hoping we were going to get some swag but we didn’t. Probably better off!